Who wants to be a millionaire? Millions of retirees, that’s who. While many people envision retirement as a time when you stop making money, start spending your savings and relax, it can also be a time to increase your wealth. However, making millions in retirement isn’t always easy. It will take hard work and dedication. Let’s take a look at five different ways you can increase your wealth in retirement and become a millionaire. Keep Investing: People often say the first million is the hardest million. That is especially true when investing. If you reach retirement with a large investment nest egg, you could increase your wealth by remaining aggressive with your investments. For instance, if you have $1 million in investable assets when you reach retirement along with a pension and Social Security, you could double your investment over a 20 year period if you average 4% per year. This means it is possible to make some withdrawals from your portfolio and still double your wealth if the sequence of your returns works in your favor. Start A Business: Not everyone in retirement stays retired. Many people start their own businesses or go back to work. Perhaps the best way to become a millionaire in retirement is to start a passion business. KFC founder Colonel Sanders didn’t franchise Kentucky Fried Chicken until he was 62 and really didn’t become an icon for the brand until he was in his mid-70s. While starting a business isn’t easy, it can be extremely lucrative if the business hits the right market. For some retirees, starting a business or consulting practice can make sense to find meaning in life, make money, and develop something you are passionate about. Buy Life Insurance: If you want to leverage your savings to provide a legacy for your heirs, life insurance is one of the most efficient ways to do so. One of the primary goals of life insurance is to provide income replacement in the event of early death. Permanent life insurance can be used as an estate enhancement vehicle. If you buy permanent life insurance at an early age, the premium you pay into the policy could result in multi-million dollar death benefits to your heirs or estate. Permanent life insurance is also likely to build up cash value over time, which can be strategically utilized in retirement to enhance your lifestyle. Consider your life insurance as an asset and review how it can be used to help your wealth enhancement, protect your family, and function as a retirement income source. Life insurance is one of the few ways to create a million dollar estate even if you don’t have a million dollars. Keep Working: With the growth of the Gig Economy and increased employment longevity, Americans are working longer and longer. If you can continue to work late into your 70s or 80s, 20 years of extra income can help create a tremendous amount of wealth. For instance, consider someone making $100,000 a year at 65. If they can continue to work, even at a reduced rate and make close to $50,000 a year for the next 10 to 15 years, that can easily add up to a half million dollars or more of income, which could be parlayed into a million dollars of additional savings if invested properly over that time period. If you plan to live well into your 90s or later, it can make sense to defer retirement and continue to work, even if only part-time. However, staying healthy enough to continue working and maintaining a job into one’s 70s or 80s can be extremely challenging. By deferring retirement, you may also defer Social Security, continue employer-provided benefits, and continue to invest your IRA and 401k assets. All of these can add up to additional savings and money in your pocket. Cut Back Expenses: If you reach retirement with a good bit of wealth, one way to increase your wealth over time is to spend less than you make from your retirement income sources each year. For instance, relocation to a cheaper state, downsizing your house, having the proper Medicare insurance, and proper tax planning can help cut thousands of dollars a year in spending. If you can find a way to save $10,000 per year over a 20 or 30 year retirement period, this could result in hundreds of thousands, or even a million, of extra dollars in savings if your investments perform well. For retirees facing a savings shortfall or for those that just want to increase their wealth, there are a number of options available to do so, but there isn’t any easy way to make millions. 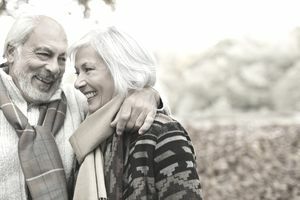 Retirement planning can be hard, especially when you want to continue to increase your wealth at a time when so many people are struggling to get by from year to year. For those with high earning jobs, consulting opportunities, or a large investment account in retirement, there are more options to make money in retirement. For others, cutting expenses, continuing to work, and deferring Social Security can all add up to big bucks over time. What If I Can't Find Money to Save for Retirement?